It’s no secret that the Meridian housing market is rapidly changing. 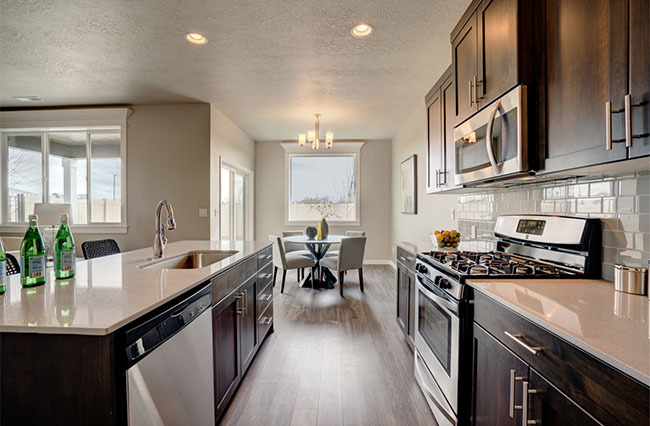 As new and resale homes are coming onto the market, buyers are acting quickly in hopes of purchasing in this sought-after area of Boise Valley. This has been especially true here at Verado, located near the intersection of Eagle Rd. and Ustick Rd. Verado, Blackrock Homes’ newest new-home neighborhood, brought its first home to market in early December 2017. Since then, 18 homes have been sold in phase 1, all averaging a mere three days on the market. In fact, none of these homes were completed before going under contract. Due to such demand for these homes and anticipating this trend to continue, we are striving to maintain an even playing field. Starting on February 14, 2018, homes must be at the drywall stage before any contract can be accepted. This practice will provide an equal opportunity to all buyers, and real estate agents with buyers, ready and able to purchase one of our superior quality homes. It also provides buyers a chance to physically see and approve the exterior of the home. We have a running list of buyers and real estate agents who have expressed an interest in being notified when certain homes become available. We will do our best to keep everyone in the loop. A disclaimer: we’re human and far from perfect. Please circle back with us often if you are very interested in availability. Currently, nine homes are in the pre-drywall phase. Check back often to remain up-to-date on taking the next steps towards getting into your dream home in Verado!